When I first started using calls, I don't know which is the best elk calls on the market. It took me a while to actually get the hang of what works and what doesn't. As a beginner, it was either the call I was using at then, would either tickle my mouth or didn't make the required sound. After much testing of different calls, I was able to get hold of what actually works and how to go about it. What do You need To Know As A Beginner? Which Mouth Reed Size is the Best for You? 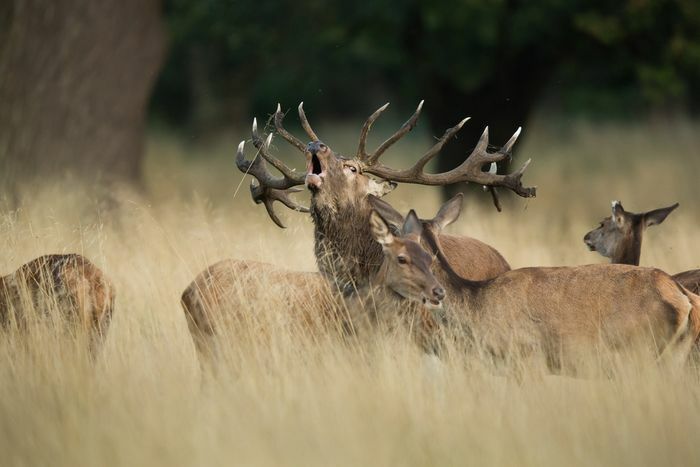 Bull Elk Bugle is one of the most popular bull sounds during the rut season. Bull elk makes this sound to either attract a female or announce their presence, or gain dominance over others. The sound is characterized by a loud multi-tone call that starts with a low frequency “growl” and later to a high pitched “scream”. This is a medium level sounds made by cows to other cows or calves. This is similar to cow elk sounds. But this time around, it is the calves that are doing the calling to their mother. Compared to cow elk sound, this particular call is not too loud since they are still young. A cow will make this sound when she is in her heat period. In other words, when she is ready to breed. Below are some of the most popular elk call devices on the market you can choose from. The bugle tube is a type of elk call that is designed to create a back pressure from the inside. It helps you retain air in your diaphragm so you can extend those notes for a longer period without breathlessness. It has a medium size inside mouthpiece that contains a spring also known as the vet system volume that enhances the tone of the tube. The diaphragm calls are a type of calls that are designed to fit into the mouth in order to produce different elk sounds with it. Unlike the bugle tube, you don’t have to use your hand to hold it. That means you can use your bow and call elk at the same time. Elk reed calls are built to produce easy sounds by biting the edge of the calls to create the desired sounds. You can also get a nasal sound by blowing through it and at the same time, keeping the pressure by keeping air flowing in. Just like some reed calls, this type of calls is specially designed to produce different elk sounds by simply biting at the edge of the device. Just by biting different point calls, you will be able to create different sounds to attract elk. Push calls are quite different from other calls we have mentioned. Instead of using your mouth, this type of calls comes with a plunger at the rear to produce sounds by squeezing it with your thumbs. The secret of using a mouth call is to find the one that fits and produces quality sounds rather than a bunch of leaking air. Also, you want to choose some beginner elk calls that are easy to learn. Good brands that can be trusted are Promos, and Bulging Bull game calls because they both use dome style or palate plate calls. Another important tip you want to keep in mind when buying an elk call is not to choose a variety of packs that offer same styles and size. I recommend you go for something that features different styles and sizes as this will give you the option to choose what works for you. One of the most important features you should look out for when choosing mouth reeds as a new user is the size of the reed model. Most hunters are unaware that mouth reeds often come in ½ and ⅝ models, which shows that they aren't of the same size. For the best fit, you should consider ½ reed model if you have a narrow palate. Using the ⅝ reed will be way too big in your mouth and may end up not producing the best result. Most of the times, the number one mistake is using a particular reed because a friend has had a great time using that reed. Well, it doesn't work that way as your palate might be a little smaller compared to his own palate. Go for the type of mouth reed that perfectly fits your own palate. For a start, try to get the hang of using single reeds. Examples of single reeds (½ models) that are user-friendly are the Mellow Yellow and Closer Mouth Reeds/Diaphragms. You can try them out to see if you are better off using them. Making the right call all boils down to where you are hunting and the time of rut seasons. For example, I found out that bulging worked pretty well when I am in CO( Colorado) and ID(Idaho). But when in AZ( Arizona) it is a different ball game entirely. I rarely get to call a single bull. So what does this imply? It shows that if you want to have a successful elk hunting, being at the right place and the right time is a critical factor you have to consider. You need to understand the kind of calls you are making and how the animals will respond to it. For example, I was able to get the hang of a sound that was related to a particular elk by listening to the animal when it was calling. Apart from listening to CD or DVD, create a time out during hunt to listen to different range of sounds the animals make. This will help you to master the right sound while calling elk. For a start, you want to make sure you use single reed that comes with a light tension call for easy mastering. Using a double or triple reed will be quite difficult for you to master at the early stage and will take a while for you to perfect. Nothing overcomes more than fear. You have to dispel every trace of fear and embrace confidence when using a mouth diaphragm or reed, even as a new user. I recommend using Mellow Yellow and All-Star reeds as they are user-friendly and offer lightly stretched latex for easy learning. You might probably be thinking that you have to rush in air through your call to produce sounds. Well, it is more than that. Here are steps on how to do that. You have to chew on a soft tape to get the desired seal in your mouth. You want to make sure it fits in your mouth perfectly. Based on my experience, I recommend you avoid using plastic coated tape as it never seals well. The next step is to place the call-up in your teeth while it is held close to your nose. Once it is properly positioned, make a sound like “SSSSHHHOW". Ensure you are heavy on the SH. Doing this will put your tongue in the right spot while making the call. Now make a single note sound and hold it for 3-5 seconds without causing any break in sound. After you have got the hang of that, the next step is to learn how to make sounds on a high and low pitch. You can then add pressure and at the same time speed up air flow. This practice will make your pitch higher and a lower pitch. You have to reverse the process by lowering the tongue pressure. That is it. If you can master at least three different pitches from your reed, you can conveniently carry out an elk call. We recommend you watch some of the Cory Jacobsen and Rocky Jacobsen videos. Watch as many archery elk hunts you can find on YouTube and learn how the caller makes the sounds. Ensure you practice each sound on your work commutes until you have mastered every bit of it. As a beginner, it’s going to take you some time to perfect it. So ensure you draft out a 4-week plan coupled with persistent practice. You also have to take out 10 minutes a day to learn how to make these sounds perfectly. While some of these sounds are much quicker to learn, others might take a bit of time to master. After learning these sounds, you can easily use them to communicate with any elk you come across with. Chuckling and Grunting is known to be the most difficult sounds to master even though they are not quite needed for now. So, it would be a great idea if you concentrate on other simpler ones instead. This is a high pitch call that is looking for cows. Such calls come with a high pitch by carrying the sound through a distance with a little growl right from the diaphragm. When a bull gets to hear that sound they are always tempted to answer such call. Estrus Buzz sounds to make a low brawling sound and low inflection to get the attention of bulls. The sound requires you to use your voice to make a low nice subtle tone to attract herds when they are much closer. For more of a location sound, you have to take the call and rattle it much more like a lip ball scream by closing your lips but not too tight. The best part is that you can produce different Buzz sounds using this method. The nervous grunt is an exciting cow sound made when you are drawn on a bull or trying to stop the bull at a close shot as it tries to leave. It is a typical call that comes with a visual identification, using the reed on the mouth. 4. A Location Type Bugle! Elk can make different types of sounds. 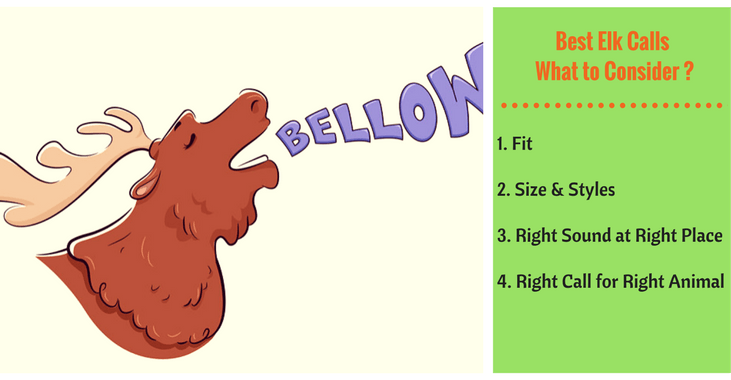 Listed below are a few basic cow calls you can use for various of types location. 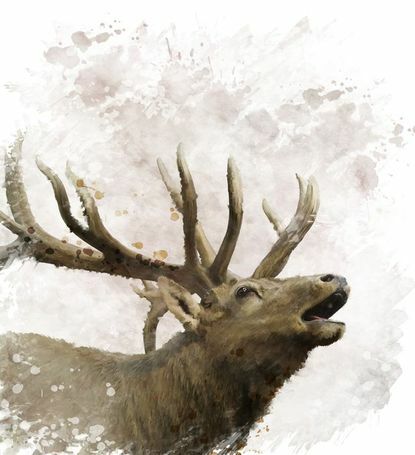 For extra sounds, ensure you practice cow calls, voice groans and squeals with your voice as this will enable you to make any sounds depending on the elk you want to call. 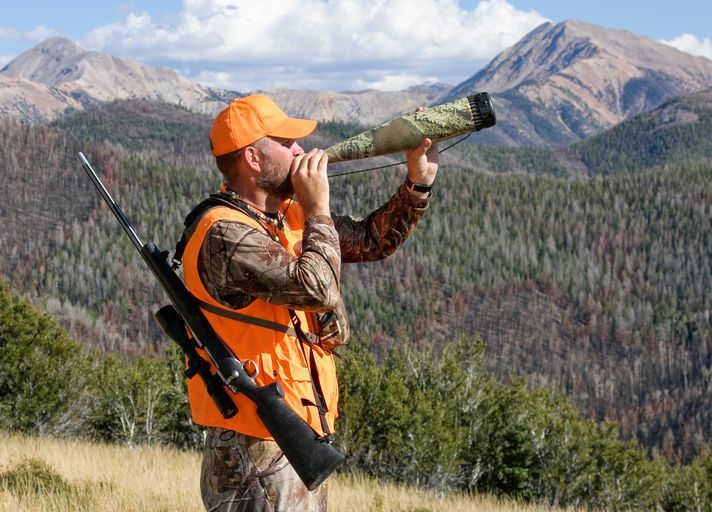 Apart from learning these sounds, you also need to know when to use them to adapt to any challenge that you might encounter during your hunt. If you are looking for elk hunting calls that can withstand harsh environmental conditions and will easily get the job done, then you want to consider using the Primos Elk 3-Pack Call (diaphragm). Apart from Primos elk calls, this one is beautifully designed to fit the mold of different people. The call produces impressive elk sounds and offers so much control that can easily call elk right to the spot. You can use this device to make a mini sonic Dome double or single sound, a sonic Dome triple sound and see thru mouth call case sound. One downside, about this reed, is that it might not fit in your mouth if you are using the blue reed with a narrow palate especially if you have a larger mouth. Takes a bit of practice to master sounds. Just like other trusted Primos calls, the Da Bullcrazy open reed call offers manipulative sounds to make your elk hunting a lot easier. This call is designed to produce natural sounds to lure mature bull to mate and as a result, draw him towards the caller. Just as the name implies, the bull tends to go crazy when they hear this sound believing that a cow elk is ready to mate. The call is easy to use as a beginner and comes with a great fit. It is also known to produce versatile and accurate sounds to keep elk in close range. The best part is that you can quickly change pitch, which will in return help you to stimulate multiple cows, even from a far distance. Just by squeezing or pinching the rubber ball as well as using the reed you can make a variety of smooth and natural cows sounds that will bring bulls in close range. It will most times sound intense if you don't know how to use it. If you are in the market for a beginner for an easy to use elk call with the most results, then the Promos Terminator Elk Call is what you want to consider. The Terminator Elk call is a renowned bugle call that comes with an accurate nasal elk tones with perfect tension every time. It sports a Patented Support Shelf mouthpiece, which allows for the recreation of cow elk calls and bugles with ease and precision without utilizing a massive amount of air pressure. Apart from being a flexible and compact tube, the terminator comes in handy for beginners who are just starting out for locating bulls. There have been complaints about the bugle quality. The Promos Cow Girl Call is a bite and blow a call that is constructed using rubber. It begins on an elevated note and moves with a reduced note which in turn stimulates the cow elk. It creates the sliding note required for precise cow calling. The bite and blow construction with soft rubber horn can be squeezed to adjust volume. It is easy to blow with high volume. High pitch compared to other cow elks. The Primos Hyper Lip Single with Tone Converter Call is a mouth elk call that can easily attract elk. Produced using Primos quality materials, this call sports an open single reed construction that can easily recreate the high pitched sounds made by calves and cows alike. If you are not a professional at calling, it requires some getting used to. The Primos Hoochie Mama Call portrays the sound and consistency of a cow elk precisely. This elk call was painstakingly created to ensure accurate sounds and the best part is that you can perfectly wear them around your neck. It is uniquely designed to stimulate cows and calves by giving them the impression that another lost bull is around. You can use this call in different occasions to lure elk into thinking there is another herd around. The tunable construction can create Estrus cow sounds, mews and lost cow calls. In my opinion, this is my favorite and best cow elk call. Using it is dead simple and comes in handy for both beginners and veteran hunters. The Primo/Elknut is a fantastic instructional video guide that will teach you the fundamental skills about elk hunting. It offers a lot of eye-opener tips on how to effectively set up, scout and call elk up close even as a veteran hunter. The instructions come with 1-1/2 hours of fundamental skills for beginners and also new tactics for veteran hunters, which includes a free single reed mouth call. I do believe you don't need to have a dozen elk calls around your neck. You just need to select a couple of the ones that sound right. We do recommend you give the above elk devices a try if you are aiming at getting a reliable elk call.